Further to my previous post on the Dwiggins graph. Here is ET's response from his site and the page he refers to. 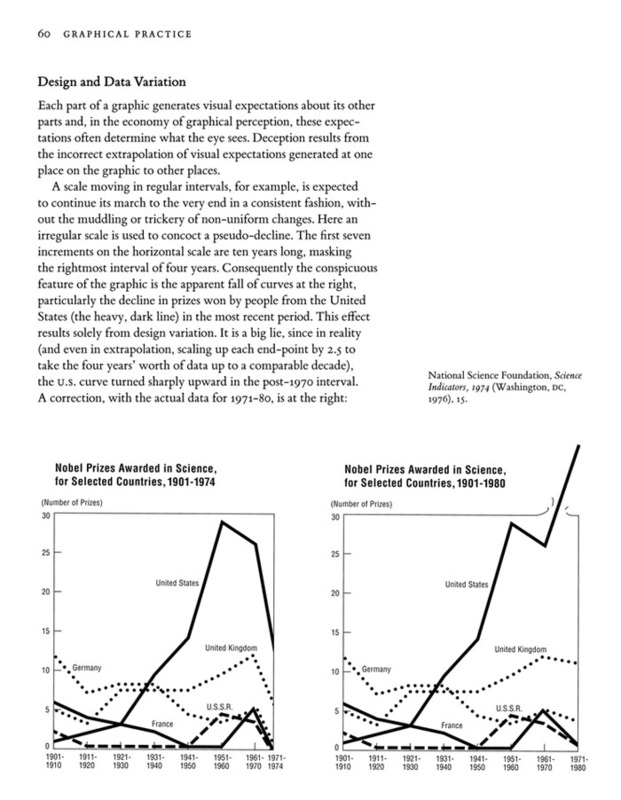 "Note added by ET, August 4, 2010: Back in 1982 the Dwiggins cartoon-graph inspired my redesign of a misleading graph by the National Science Foundation. The NSF original suggested that the United States had encountered a big downturn in Nobel Prizes. My corrected, updated design revealed in fact a US Nobel prize boom that broke right out of the grid, Dwiggin-like. From ET, The Visual Display of Quantitative Information, page 60:"